D&M submits draft report. 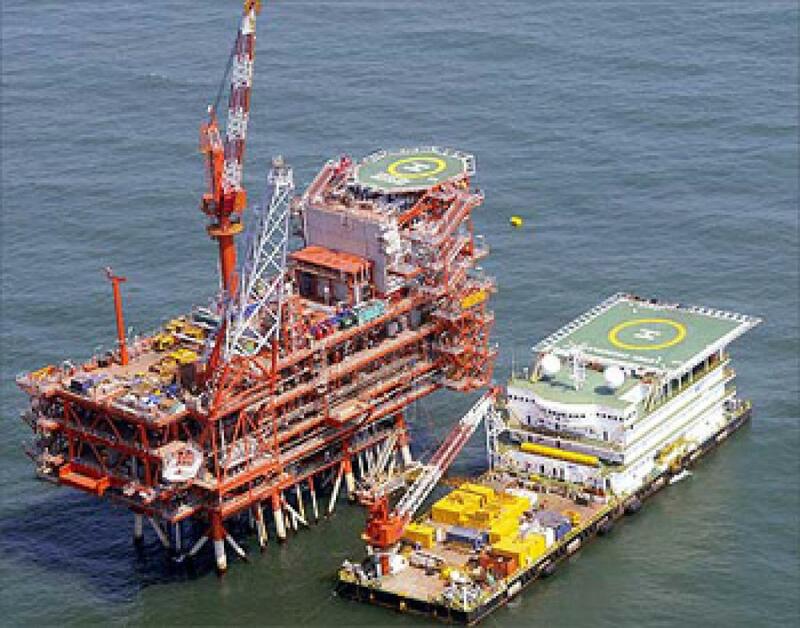 US-based consultant DeGolyer and MacNaughton (D&M) in a draft report has stated that at least 9 billion cubic meters of natural gas worth around Rs 9,000 crore may have migrated from ONGC\'s idling Bay of Bengal fields to adjoining KG-D6 fields of Reliance Industries. New Delhi : US-based consultant DeGolyer and MacNaughton (D&M) in a draft report has stated that at least 9 billion cubic meters of natural gas worth around Rs 9,000 crore may have migrated from ONGC's idling Bay of Bengal fields to adjoining KG-D6 fields of Reliance Industries. This gas at $4.2 per million British thermal unit price is worth $1.33 billion or Rs 8,675 crore. Officials said D&M, which was jointly appointed by ONGC and RIL to find if the neighbouring fields are connected, is of the opinion that there is no unconnected area in G-4 -- i.e. there exists no independent gas reservoir in the ONGC block and all the resources are shared with KG-D6. D&M on Friday submitted to the two firms as well as the Directorate General of Hydrocarbons (DGH) a draft report stating that ONGC's Godavari Block (known as G-4) is contiguous to RIL-operated Block KG-DWN-98/3 (KG-D6), officials said. The parties will now get an opportunity to comment on the draft findings before D&M prepares the final report. Officials said D&M is of the opinion that there exists one big gas resource several meters below sea bed which extends from G-4 to KG-D6. DGH had erred in drawing the boundaries of the blocks by ignoring the seismic data on presence of the reservior and drew lines that bifurcated the reservoir rather than making it part of one block. ONGC had in 2013 claimed that RIL had deliberately drilled wells close to the common boundary of the blocks and that some gas it pumped out was from its adjoining block.